Cellist Jean Hatmaker is a founding member of the Kontras Quartet, the resident string quartet of Western Michigan University, and the Chicago Youth Symphony Orchestra. With Kontras Quartet, Hatmaker has performed in chamber series all across the east and midwest, as well as live performances on WFMT, NBC, and other national broadcast networks. They tour frequently with nationally-acclaimed bluegrass trio the Kruger Brothers, and have performed together on PBS and the Late Show with David Letterman, and at festivals across the country including IBMA Wide Open Bluegrass, MerleFest, and Utah Arts Festival. They recently premiered their first commissioned work, Lucid Dreamer, with the Kruger Brothers, and released their first commercial album, Origins, on MSR Records in 2015. 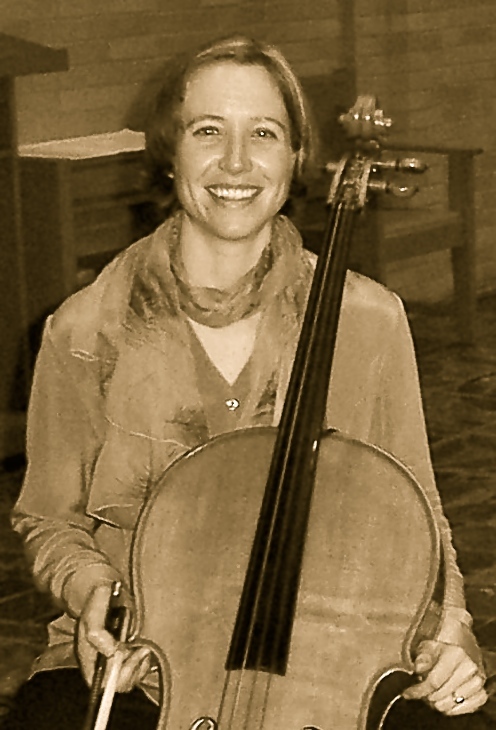 Since 2013, Hatmaker has been the faculty instructor of cello at Elmhurst College. She recently launched the Casals Project and Festival at Elmhurst College, an exploration of humanitarianism through music, for which she organizes volunteer performances at hospitals and other care centers. She is also an amateur ballerina, and has studied and performed at Indiana University, the NewArt School of Ballet in North Carolina, the DuPage Dance Academy and the Joffrey Academy of Chicago. Combining her passions for music and dance, Hatmaker has arranged, compiled and performed original ballet productions of The Nutcracker and Alice In Wonderland, collaborations between the NewArt School of Ballet and Kontras Quartet. Hatmaker has an extensive background of orchestral playing, having been principal cellist of the Civic Orchestra of Chicago, Western Piedmont Symphony, and other regional orchestras throughout the Midwest. She received both a Bachelor (with High Distinction) and Master of Music degree in Cello Performance from Indiana University, in the studios of Helga Winold and Janos Starker. She plays on a French cello made by Marc Laberte ca. 1922, and uses a Grünke bow. Hatmaker was pleased to start her tenure as CCS President in the summer of 2015. She has also recently joined the faculty of Lake Forest College as faculty cello instructor, beginning in the fall of 2015. Paula Kosower is an active performer and teacher in the Chicago area. She has performed last season with the Sheridan Chamber Players at the Chicago Cultural Center, with Fulcrum Point at the Harris Theater, and with MusicNOW from Symphony Center. During the summer season she frequently performs at the Ravinia Festival. She is dedicated to contemporary music and has performed for the June in Buffalo festival and for concerts at the Midwest Composers’ Symposium, University of Chicago contemporary music series, MusicNOW, and the contemporary groups CUBE, Fulcrum Point and ICE. 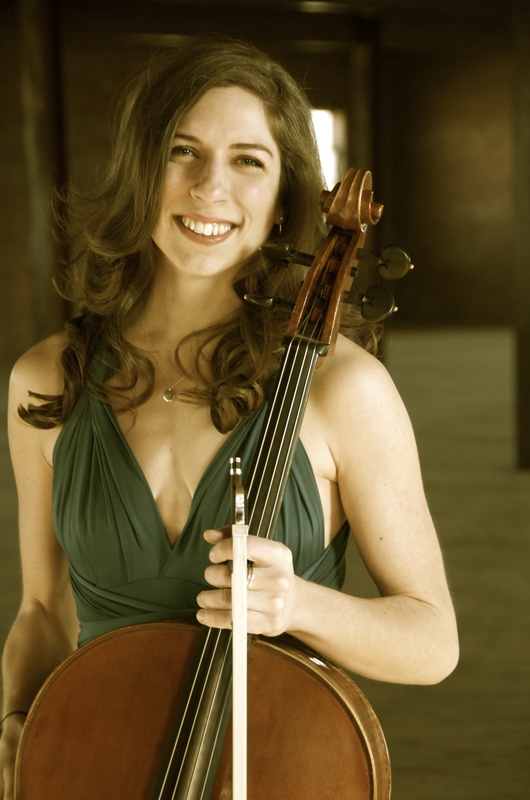 Ms. Kosower teaches a course in cello pedagogy at Northwestern University, private lessons at the Northwestern University String Academy and chamber music at the Merit School of Music where she is also a member of the faculty piano trio. She received her bachelor’s and master’s degree at Indiana University where she was a scholarship student of Janos Starker. She also served as Mr. Starker’s graduate teaching assistant. She is currently finishing her doctoral degree at Northwestern University. 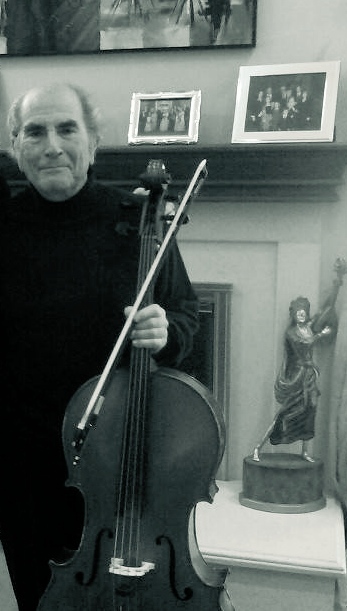 Lawrence Block, a native of Chicago, was a founding member of the Chicago Cello Society, the second President of the Society and currently serves as Treasurer. An avid chamber musician, he founded the Highland Park Strings in 1979 in collaboration with Francis Akos, former assistant concertmaster of the Chicago Symphony Orchestra. He has served as General Manager of the orchestra and been its principal cellist from its first concert. Now in its 31st season, The Strings gives five concerts a year in Highland Park. World-class soloists have appeared with the orchestra, including over 40 members of the Chicago Symphony Orchestra, Mischa Dichter, Peter Frankl, Lazlo Varga, Glenn Dicterow, Jorge Federico Osorio, David Shifrin and Janos Starker, who has played with the Strings on four separate occasions. The Strings has toured in Italy, Israel and Mexico, where he performed as soloist. On the occasion of his 60th birthday he performed Schubert and Boccherini Quintets at Steppenwolf Theatre with Victor Aitay, Francis Akos, Janos Starker and Robert Swan. At that time, Janos Starker announced that Mr.
Block would be named a Chevalier du Violoncelle by the Eva Janzer Memorial Cello Center of Indiana University for his contributions to cello playing, a rare and special honor for an amateur cellist. A Trustee of the Ravinia Festival, Mr. Block serves on the board of directors of Steppenwolf Theatre, Highland Park Community Foundation and is past president of Highland Park Rotary. For 50 years he has been a member of the law firm Schiff Hardin LLP and was the firm’s Chairman and Chief Operating Partner. While holding a “day job” as an attorney, he was a member of the Evanston and Skokie Valley Symphonies. For more than twenty years he played with the Lake Forest Symphony, conducted by Victor Aitay, where he often served as principal cellist. Mr. Block began his cello studies at age ten in order to play trios with his brother who is a violinist and his sister who is a pianist. He first studied with Alice Baker Lawrence, a member of the Chicago Symphony Orchestra, then with Hans Hess, at the Chicago Musical College. While a student of Hans Hess, he won the Society of American Musicians Competition in the Junior and Senior Divisions. He plays the ex-Janos Starker William Ebbsworth Hill cello made in 1846 and a Diamond Coda bow. A passionate chamber musician, cellist Kyra Saltman has embarked on a diverse and compelling career. She has toured the United States extensively, including concerts at the Round Top Festival Institute, the Sheldon Friends of Chamber Music, the Fairmont Chamber Music Society, the Cedarhurst Center for the Arts and the Kerrytown Concert House, as well as for the Nassau Music Society in the Bahamas. Kyra is currently a member of the Petar Jankovic Ensemble, an innovative ensemble consisting of string quartet and classical guitar. The group will be releasing their second CD in the fall of 2014 featuring the music of Debussy and Shostakovich. Kyra has appeared as a soloist with the University of Illinois at Chicago Symphony Orchestra, the Erato Chamber Orchestra, and the Renovo String Orchestra, among others. She has also been featured on the Second Saturdays at Noon concerts series at the St. James Cathedral, the Sounds of the South Loop Concert Series, the Ravenswood Concert Series and the Chicago Cultural Mile’s Second Fridays Series. In March 2012, she was a featured soloist on Chicago’s first Electro-Acoustic Music Festival. Based in Chicago, she is part of the city’s burgeoning community of young musicians dedicated to creative performance. She is the founding principal cellist of the Chicago Composer’s Orchestra, one of three orchestras in the country dedicated to performing the works of living composers. 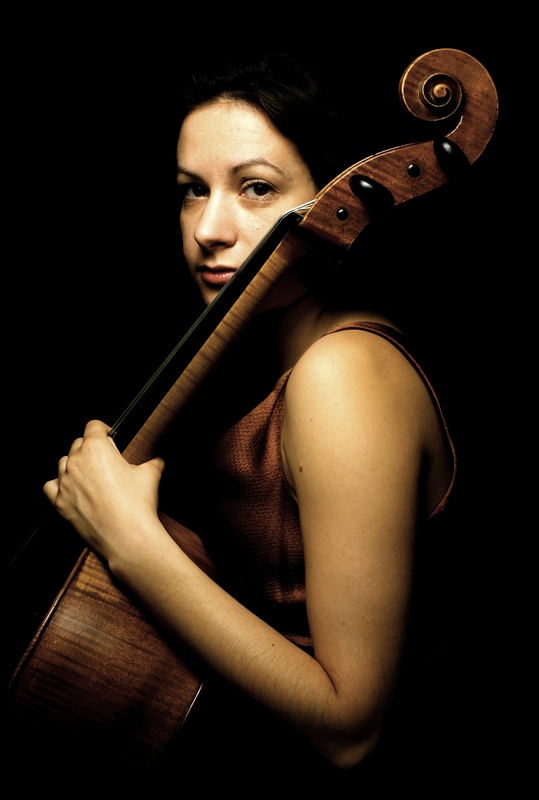 Kyra received her Masters in Cello Performance in 2009 from the Chicago College of Performing Arts where she was a student of Tanya Carey, former president of the Suzuki Association of the Americas. She also received her Suzuki certification and training from Dr. Carey. She holds a Bachelors of Music Performance from the University of Illinois at Champaign-Urbana, where she was a student of Brandon Vamos and studied chamber music extensively with the Pacifica Quartet. Additional mentors include the Borromeo Quartet, Cuarteto Latinoamericano, Kronos Quartet, Biava Quartet, Ariana Quartet and Atar Arad of the Cleveland Quartet. She has served on the faculties of the Hyde Park Suzuki Institute, the Merit School of Music, and Adlai E. Stevenson High School. Kyra has given masteclasses and coached at the Austin Chamber Music Center, Manchester Music Festival, Eastern Illinois University and the Chicago Youth Symphony Orchestra. Leslie Hamric has been playing cello since age 8. She has appeared as soloist with the Park Ridge Fine Arts Orchestra, Lewis University Orchestra and the Northern Illinois University Philharmonic. 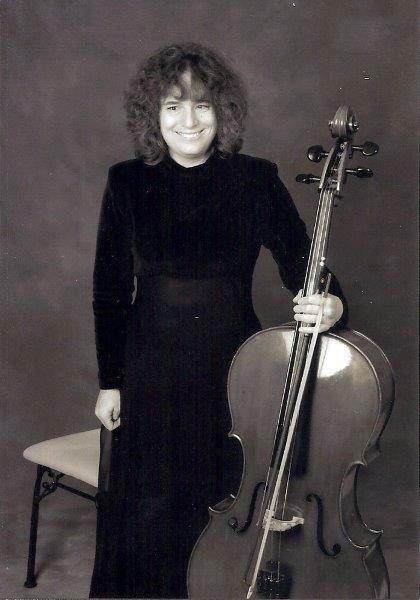 Leslie received a Bachelors degree in Cello Performance from Northern Illinois University and a Masters in Cello Performance and Literature from the Eastman School of Music. She also attended the Meadowmount School of Music during two summers and completed coursework in Music Therapy at Western Illinois University. Her teachers include Marc Johnson, Tanya Carey, Alan Harris, Moises Molina and Wyatt Sutherland. She also studied piano for 11 years and voice for 5 years. Leslie lives in Schaumburg, Illinois where she teaches privately. In addition to cello and piano, she also teaches the reading and use of braille music. In her free time, she enjoys socializing, reading, hanging out with her son, Michael and playing cello duets with her husband, Andy. Leslie also serves on the board of the National Federation of the Blind of Illinois. She is excited to bring her current knowledge and experience to the CCS board. Member of a long-established Chicago musical family, Charlotte Lehnhoff has been teaching cello in Hyde Park for over twenty-five years. She was formerly on the faculty of the Lehnhoff School of Music and Dance in Hyde Park, and was Lecturer in the Department of Music at Chicago State University for fourteen years. After receiving degrees in Cello Performance and Music Theory from the University of Michigan, she studied cello pedagogy with Janos Starker at Indiana University and Channing Robbins at the Juilliard School of Music. She studied with Frank Miller, principal cellist of the Chicago Symphony Orchestra, and David Wells at the Manhattan School of Music and Hartt College of Music. She took part in chamber music workshops at Kneisel Hall in Blue Hill, Maine, and at The Yellow Barn in Vermont. She has participated in pedagogy workshops held by the American String Teachers Association at The Ohio State University, University of Michigan, Illinois State University, and the University of WisconsinMilwaukee. Charlotte is also an accomplished instructor in the Suzuki method, completing workshops at the University of Wisconsin-Stevens Point, Concordia College, and at national conferences held in Chicago with Dr. Shinichi Suzuki. She has served as a judge for national and Chicago-area cello competitions. Charlotte was a vice-president of the Chicago Cello Society for ten years and was founding co-editor of The Cello Scroll, the newsletter of the Society. 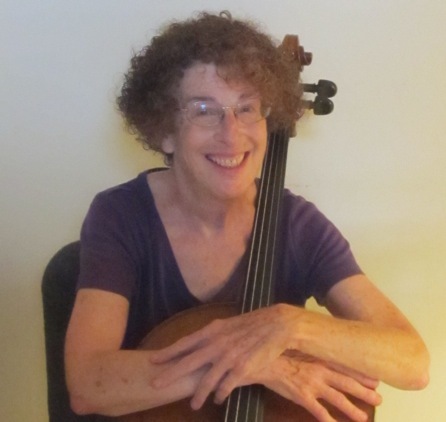 Her publications include articles for The Cello Scroll on a variety of topics such as the history of cello technique, and research and writings about Beethoven’s music for the cello. She wrote a textbook on the Fundamentals of Music that was used in courses at Chicago State University for Music Majors and for the general student population. 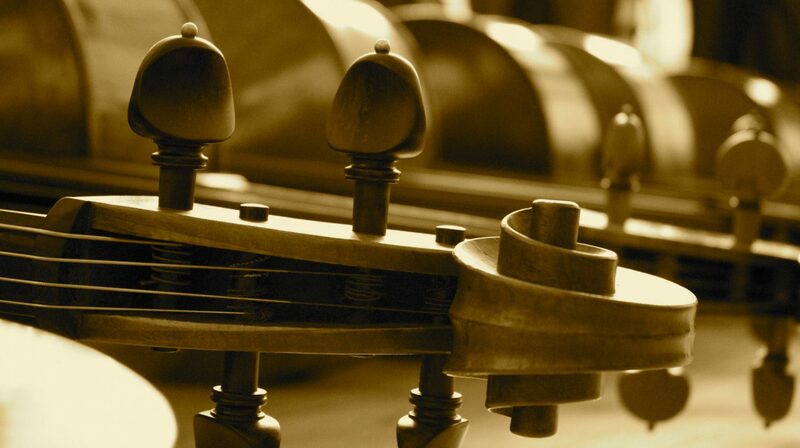 Some of her articles for the newsletter are posted on the Internet on the newsletter of the Internet Cello Society, in addition to being published in newsletters of cello societies around the country. Charlotte’s students are active in orchestras at all levels from middle school through community and professional organizations, and as national chamber music institute participants. Her advanced students are members of orchestras which make national and international tours. Many of her students pursue professional performer and educator careers. In her teaching, she emphasizes the development of a beautiful strong tone, a sense of security, comfort and ease in playing the cello, and helping the student achieve self-expression in the music. She works with students of all ages, young children to adults, beginners to advanced.